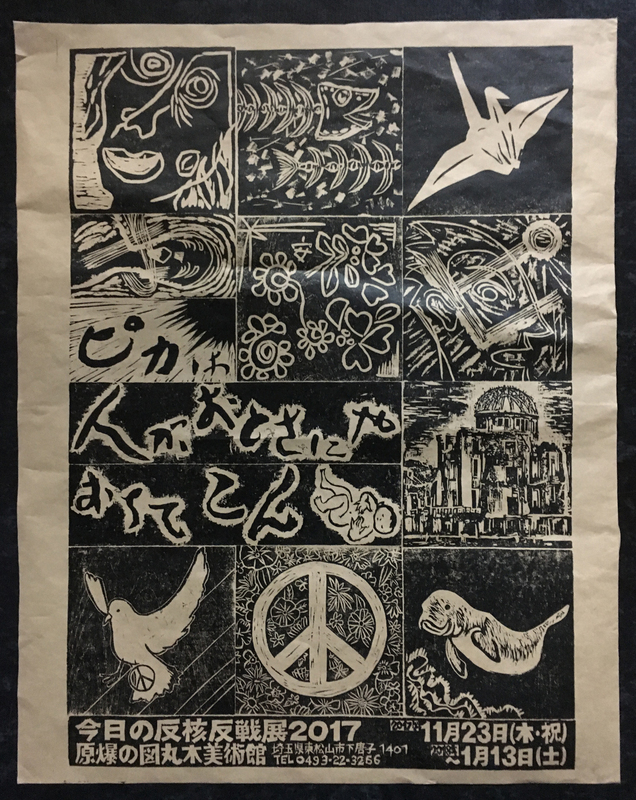 The example that I will concentrate on for this essay is an art collective called A3BC (Anti-War, Anti-Nuclear, and Arts Block-print Collective), a group that collaboratively creates woodblock prints that focus on anti-war and anti-nuclear issues. A3BC exhibits both in art spaces and in the actual sites of social movements and protests, and interacts with collectives in Asia and Europe that share the same spirit of DIY/punk culture and an awareness of related issues in a global context. The spirit of DIY has guided the group’s organization. The roots of DIY lie in anarchism, particularly the conviction that the will of the individual is of utmost importance and should be autonomous from repressive external forces. Since the 1970s, DIY/punk subculture has spread from its origins in the UK to be incorporated into various practices beyond punk music, such as street art, fashion, contemporary art, and publishing, acting as an antithesis to the pervasive materialism and consumerism of global capitalism, both symbolically and as an actual alternative way of living . DIY practices emphasize building fair and equal relationships among people in daily life in order to overcome social constructs that serve repressive forms of political power and, as discussed below, inform the ethics of A3BC.